Clean CARFAX. 2004 Honda Civic EX FWD 4-Speed Automatic with Overdrive 1.7L I4 SMPI Over 800 pre-owned cars, trucks, vans. And SUVs available!! Come in and find out why The Econo Corner at Auffenberg Ford is BIG IN BELLEVILLE!! 1001 S. Illinois St., Belleville, IL, 62220. One of our sales consultants will show you around!! Recent Arrival! 29/38 City/Highway MPG Awards: * 2004 KBB.com 10 Best Used Cars Under $8,000 * 2004 KBB.com Best Resale Value Awards For more information, visit www.kbb.com. Kelley Blue Book is a registered trademark of Kelley Blue Book Co., Inc.
Hassle free buying with the Auffenberg Honesty policy.Upfront no hassle pricing for everyone!! Come see over 800 preowned vehicles at the PREOWNED SUPERSTORE located at the St Clair Automall in O'fallon. Best selection, best prices, best service.Come see why BERG IS THE WORD!! LOCAL TRADE, Best price in town! !, Sonata GLS, 4D Sedan, 2.4L 4-Cylinder DGI 198 hp, 6-Speed Automatic with Shiftronic, FWD, Harbor Gray Metallic, gray Cloth. 2.4L 4-Cylinder DGI 198 hp 22/35 City/Highway MPG Awards: * Car and Driver 10 Best Cars * 2011 IIHS Top Safety Pick * 2011 KBB.com Top 10 Family Cars Car and Driver, January 2017. At Auffenberg Kia, we do our best to offer one of the widest selections of affordable used cars for sale around Mascoutah and Smithton. We want drivers of all budgets to be able to find their next car with us, and it’s why you can find so many affordable used cars under $9,000 in our inventory. If you’ve been looking for great used car deals, look no further than our O'Fallon showroom. You’ll find some used Kia vehicles, sure, but you’ll also find a range of makes and models — and you can drive one home from a dealership you know and trust. 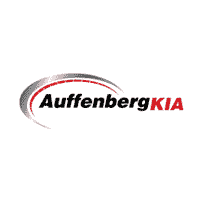 Why Buy Used from Auffenberg Kia? When you combine that with our incredible selection of affordable used cars, we think the choice is easy. Contact us today if you have any questions or want to schedule a test drive — and remember, you can apply for financing and get a trade-in estimate right now to get started.